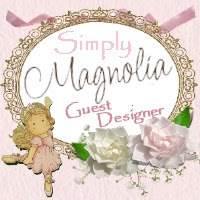 I am happy you joined us for our Valentines blog hop at 7 Kids College Fund Blog. 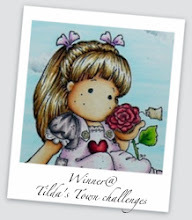 This kicks off our new challenge ANYTHING GOES at the 7 Kids Challenge Blog for the next 2 weeks. 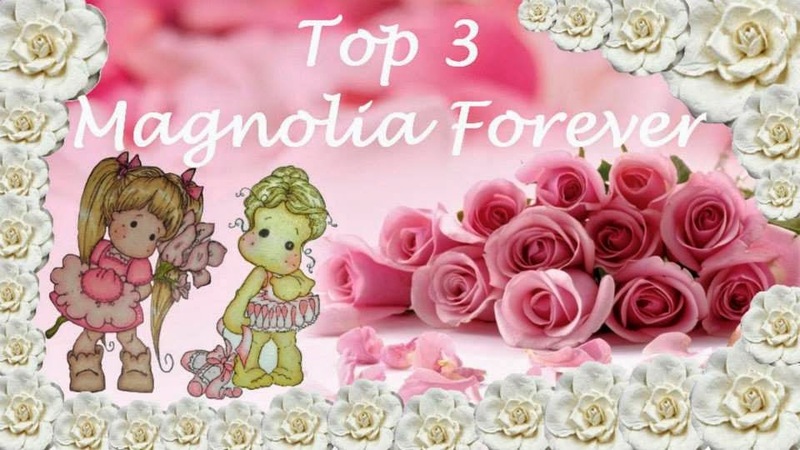 I hope you share your Valentine projects with us and Thanks so much for joining us! $20 GIFT CERTIFICATE to the store!!! 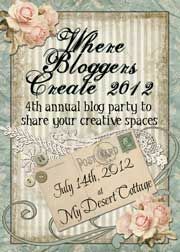 And we will be selecting one lucky guest designer! 1) Make your way through all the blogs on the hop and comment on EACH DT member's blog. 2) Return to the store blog and comment. 3) Come back to the store blog on Wednesday 2/4 when we'll announce the random winner. Remember to support the DT! If you like a project, make sure you click through that DT member's links which will help them earn credit toward purchasing more goodies to make more projects to show you!!! My adorable image is Uptown Girl Catherine Nibbling Chocolate. That is what every girl wants for Valentines Day, chocolate along with bling, dinner, adoration and pampering! Oh Yes!! I colored her in Copics and added Aged Ivory Frantage around her. A closeup of the cut a parts from the paper pad Graphic 45 "Place In Time" I love this paper pad for embellishing my cards. I also used Shari Baldy's heart die too. 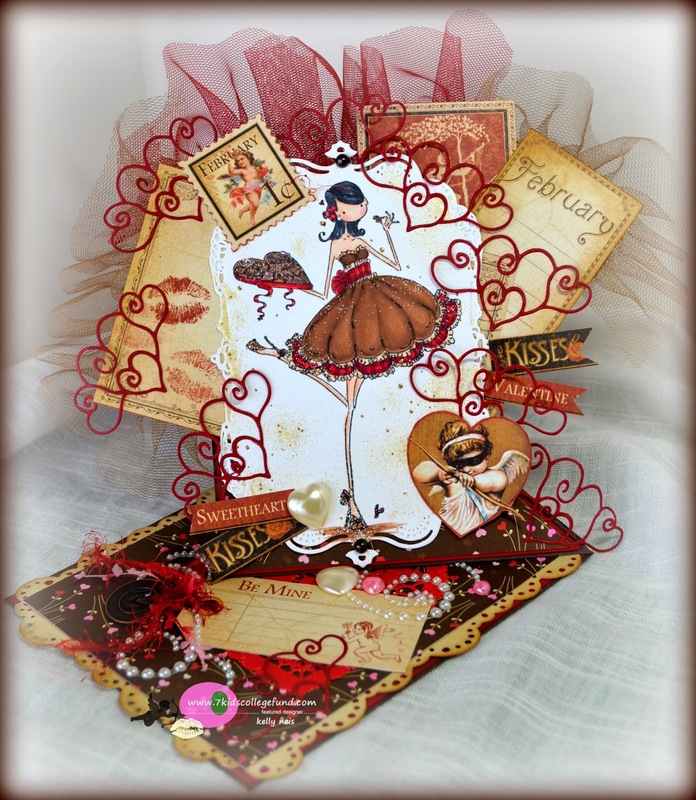 On the base is a cute card from the Graphic 45 paper along with Tim Holz Muse Tokens, pearls and ribbon from my stash. Along the edges I used a Magnolia Doohickey lace border die. Here is the side view of the easel card. You can never get too much girly frill for Valentines! Don't forget to also enter our regular challenge Anything Goes at 7 Kids College Fund Challenge Blog, you can win a gift certificate from the store when this challenge ends. Oh Boy, now I'm craving chocolate!!!! Your card is too yummy for words. I feel compelled to lick the computer screen. LOL I love all the fun embellishments. 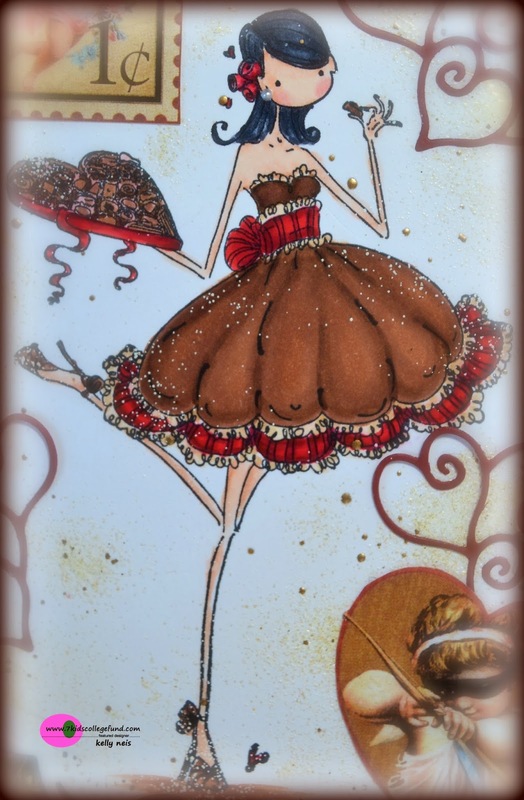 your card is definitely a wonderland of EYE CANDY!!!!! Wow!!! This is sooo gorgeous. I've never attempted a twisted easel card. I love all your layers, and die cuts. BEAUTIFUL work. Thanks so much for the inspiration. I love it. Wow! Your pretty colors are fabulous! Love all the details! I see something new each time I look at it! And the tulle is the perfect touch! Oh wow, this is absolutely fabulous!! I love the details and the design!! The image is so beautiful!! HOLY GUACAMOLE, KELLY!!!! you will have to excuse my language... but I think my head just popped off and exploded into a MILLION little bits!!!! this card has blown me away in every possible way!!!! WOWZERS!!! This is Beautiful!!! I love it all and that heart die is Fabulous!!! Such a fancy lady with a wonderful dress! Oh how I wish I could eat a box of chocolates and have a skinny waistline and legs like your stamped image. Gee sometimes life isn't fair. But holy cow this card is fantastic. It looks like one of those fancy Valentine boxes. Love those delicate hearts and frills. 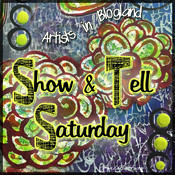 You create amazing art country sista! 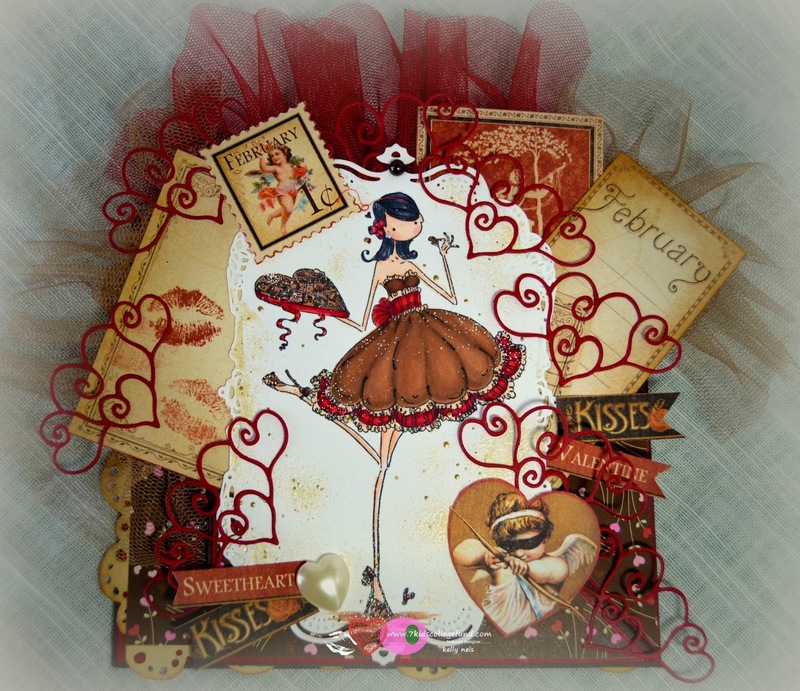 Gorgeous card Kelly and the fabulous image and embellishments. The layering on this card is just breathtaking. Such talent. WOW - this is beautiful and so intricate. Omg!!! This is so so gorgeous!!! Love, love the beautiful added details. WOW, my friend your card is absolutely stunning!!!! You have captured the essence of chocolate goodness and love with all those hearts. Oh wow...that is one fantastic looking card. There is so much to look at. It's stunning. Lots of fabulous details and amazing coloring! 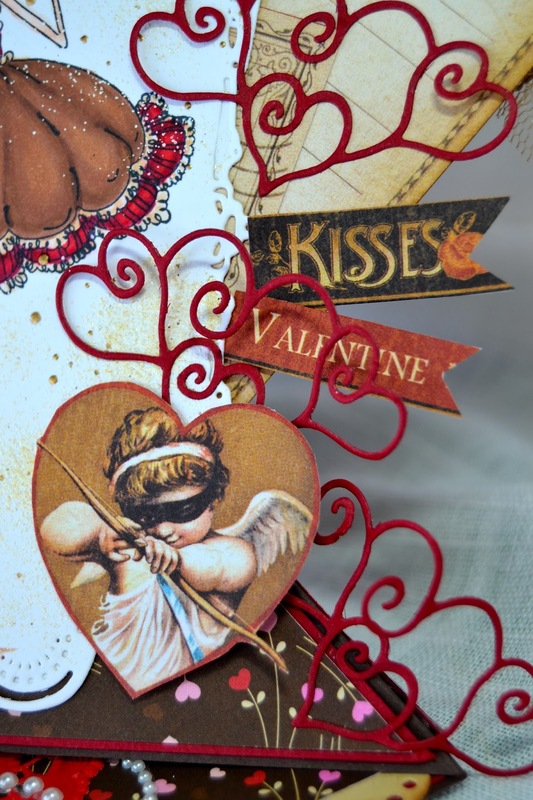 An absolutely astounding card, Kelly - what a riot of Valentine detailing... the delicate heart die-cuts are so wonderful scattered about, and I so love the sepia with red colour palette - a brilliant, brilliant creation.